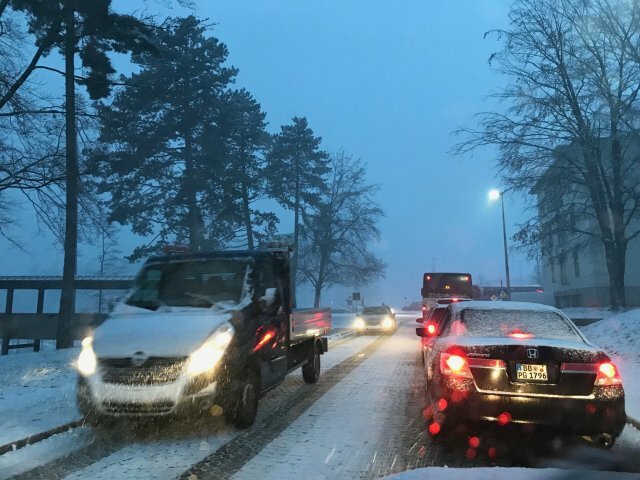 When winter weather strikes, the U.S. Army Garrison Stuttgart has resources to keep the community informed when decisions are made that impact on-post operations due to the weather. Throughout the business day when conditions warrant a change, notifications are posted to the garrison Facebook page. 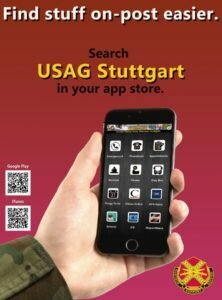 On-Post Road Conditions are also updated on the USAG Stuttgart mobile app. The app is available in iTunes and Google Play stores. Call the Weather and Road Condition Hotline at DSN: 431-3744/ civ. 07031-15-3744 for a daily recorded update of weather, on-post road conditions and closures. The IMCOM Europe Road Conditions and School Closures web page is updated daily for general information by each garrison location. The decision to cancel or close operations is made by the garrison commander after he/she has been informed of the current road conditions by the Directorate of Emergency Services, based on Military Police patrols. 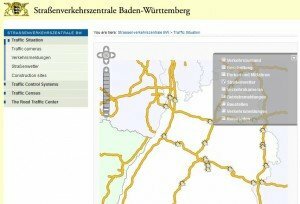 Baden-Württemberg road conditions advisories are available at: www.svz-bw.de, select: Straßenwetter on the map key for local road conditions. Military Police patrols access only garrison installation roads. Roads in the surrounding local communities outside of the installations, including bus routes, are not assessed or reported on by the MPs. 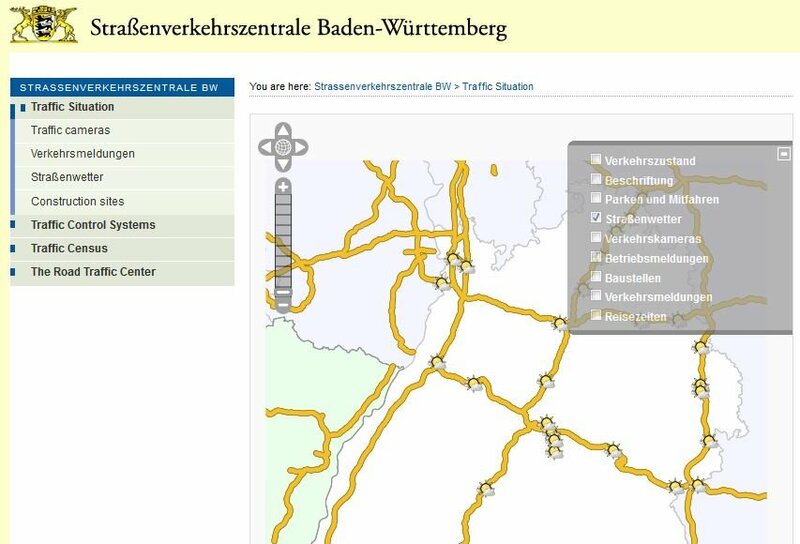 The state of Baden-Württemberg has a road advisories page available at: www.svz-bw.de, select: Straßenwetter on the map key for local road conditions. Personnel of U.S. European Command, U.S. Africa Command, Special Operations Command Europe or any other organizations should check with their individual commands for information on work delays or early releases authorized by their leadership. Individual drivers should access the safety of their travel routes and should contact their chain of command if they feel travel would be unsafe. 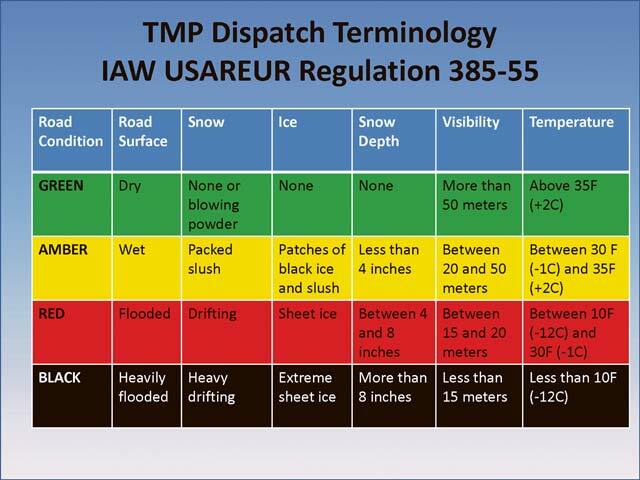 Editor’s Note: Community members are advised to use Facebook, AFN, or the weather hotline as the first source for road condition information and not call the MP Desk to ensure the phone lines stay open for emergency response. USAG Stuttgart does not assess off-post roads. For information about road conditions in your local neighborhood or commute to work, visit your local news channels, tune into AFN Stuttgart Radio for major road conditions and traffic updates. Use your judgement to ensure your safety. Contact your command or leadership directly with concerns during your daily commute.